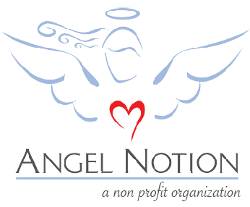 Continuing Angel Notion's mission for this Christmas in Playa del Carmen and the surrounding areas, everyone at the Angel Notion Clinic is busy preparing to make this holiday season a happy one for the less fortunate residents of the Riviera Maya. There is much work to do, and many toys and much food to be amassed. We look to you, once again to help fulfill the dreams of as many local children and families as possible. Santa Claus is ready to make his annual visit to La Quinta to distribute toys and sit with the children for photos. If you are coming to Playa del Carmen for the holidays, think about bringing a few soccer balls and/or Barbie Dolls in your luggage. No baggage allowance to spare? Mega and Walmart always have a great selection of Barbies and balls on sale for reasonable prices. While you are in the grocery store, you might consider picking up a few extra canned goods to contribute to the annual food drive. Toys will be distributed on 5th Avenue and at the Clinic in Nicte Ha. Food will be given out at the clinic on December 24, a fine Christmas gift to those in need. More details to follow. With your help and support, it can be a Happy Holiday for many more Playenses. Angel Notion/Ayuda de los Angels A.C.
Hello, I would be more than happy to donate a Barbie doll or a soccer ball. Also, can I be of any help let me know. We are visiting Playa for Christmas and would love to donate and help deliver the presents. Please send us some information. My friend and fellow expat Heather Anderson is helping Lavonna to accomplish this monumental task and she can tell you where toys can be dropped off and when/where they will be delivered. Her email is andersen.heather408[at]gmail[dot]com.